BE, B.Tech, MCA Graduates Walkin Drive At Infosys | Hiring For Technology Analyst Role | 21st December 2017. Exciting news for candidates who had completed BE, B.Tech, MCA with a minimum of experience in Technology Analyst process. If yes then stay tuned for this article. Infosys is hiring experience candiadtes with Min 4 years and Max 8 years of experience in web application development with primary focus on .Net, SQL Server and other Microsoft technologies with proficient skills are preferable to attend Infosys Walkin Interview on 21st December at Chennai. Infosys Careers is one of the leading MNC company in India. So people who are dreams to get a place in Infosys here is the excellent chance to develop your skills and growth in the organization. So candiadtes who are interested can directly attend the mentioned address with an updated resume. Salary INR 6,00,000 – 7,00,000 P.A . 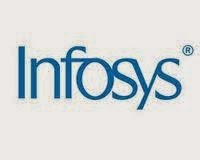 Infosys Technical Analyst Job Vacancies at Chennai. Aspirants are you seeking for any job opportunities in Chennai as Technical Analyst process. Then you have reached the correct destination. Moreover, applicants to enroll for the Infosys Walkin Interview must have strong troubleshooting skills with a focus on application performance optimization and ability to lead a team of fresher’s and provide technical guidance will eligible to attend the interview. But before facing the interview process job, seekers must prepare well with the help of Infosys Interview Questions which will be accessible to answers the questions quickly asked by the interviewer. Keep in touch with our website All India Jobs to get more job details about Infosys. Applicants, had you satisfied the given eligibility details? Then why late. Attend Infosys Mega Walkin Drive for Technology Analyst process. Without having sound knowledge of Infosys Placement papers, it is tough to qualify the interview question. To help you we had provided on this page about Infosys Test Patterns to motivate you regarding the success. To know more details just look at Infosys Careers page from our website. Candidates must have handled at least 2 full cycle projects, starting from requirements analysis to production deployment and ongoing support. Should have strong troubleshooting skills with a focus on application performance optimization. Ability to lead a team of fresher’s and provide technical guidance. Aspirants have handled teams of at least 3-4 people with varying proficiency levels and should demonstrate strong mentoring capabilities. People must coordinate and execute all day-to-day project activities and report on end-to-end project status to management. Work with APM / PM in project planning and ensure smooth and timely execution. Excellent team management skills – able to build and mentor the team. Should be active in the technologies mentioned above. Candidates must Prior project/module implementation experience is a must. Must have a lead at least a team of 3 – 5 people. Has handled production support projects with a strong focus support SLAs. Has been part of product implementation which requires understanding client requirements, performing fit-gap analysis and executing the project successfully by a combination of the configuration of base features. Note: Kindly Mention “Laxman Shaw” as a reference on top of your resume before submitting at Interview. Infosys is conducting mega walkin interview for the job holders who want boost up their career with relevant experience as Technology Analyst. So applicants check the details and attend the following venue. ID proof along with your resume.